In the Bollywood stable, Akshay Kumar is the archetypical stud. He is one of the actors who has made it big in Bollywood, without a Khan, Bachchan or Kapoor behind his name. In fact, he is currently the highest paid actor in Bollywood. Known for his daredevilry and penchant for doing his own stunts, Akki Baby has also won over the small screen with his high-octane performance in a beverage ad, and the popular reality TV show Khatron Ke Khiladi. There are huge expectations riding on his upcoming film Blue, a Rs 120-crore underwater thriller by director Anthony D'Souza. To be released on October 16, just before Diwali, which is considered very auspicious, Blue is one of the most awaited films of the year. Ganesha uses Vedic Astrology system to determine if this Diwali will be auspicious enough for Akshay Kumar, and his forthcoming film Blue. As most of the planets are placed in the Earth sign, Earth is the predominant element. Mercury and Venus are both placed in Virgo. They are creating Neech Bhang Raj Yoga in the House of Gains at the time of the film's release. Mars is debilitated and weak. But it gives an exalted aspect to the 3rd House of daring or parakrama. Similarly, Jupiter being the Lord of the House of finance shows a sign of debilitation, but gives an exalted aspect to the House of fortune i.e. the 9th House. The predominant element, Earth, indicates that Blue has the potential to earn good money at the Box Office. Karma Bhuvan Lord, placed in the 11th House of gains, indicates that this film will have a good start at the Box Office. Jupiter's exalted aspect on the Bhagya Bhuvan also says that fate is favouring the film. 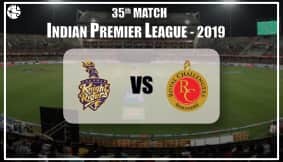 Neech Bhang Raj Yoga in the 11th House of gains, along with the Moon (Bhagya Bhuvan Lord), also points out that the film is likely to make a lot of money. Venus gives exalted aspect to the 5th House of performance, so all the actors will do a good job in Blue. Mars, which is giving exalted aspect to the 3rd House, indicates that fight sequences will be very good. Similarly, Jupiter giving exalted aspect to the 9th House indicates powerful direction. Blue will do very good in the 1st week. After 10 days of release, business may slow down a bit as transiting Moon will then be in contact with Rahu, says Ganesha. In short, this film is a potential blockbuster. 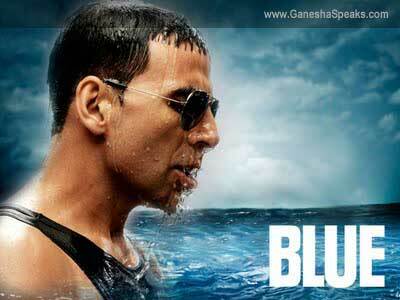 Ganesha wishes good luck to Akshay Kumar and the rest of the crew of Blue.